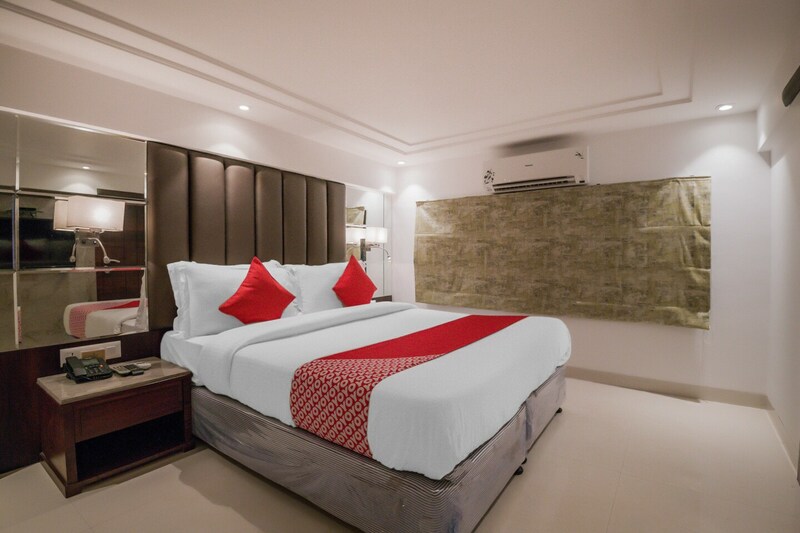 Flagship Supreme Hotel is a fashionable property in Cuffe Parade, Mumbai offering excellent living conditions, and well-maintained common areas to its guests. The bedrooms at the hotel appear warm and cozy with light colored walls and plush woof furnishings. An in-house restaurant, a dining area, and a kitchen are available for the guests to make use of during their stay. The amenities provided by the hotel are free Wi-Fi, a mini fridge, laundry facility, CCTV cameras and a card payment option. Besides the modern comforts extended to guests, the hotels local is almost enviable as you have the best cafes, restaurants, and the iconic Marine Drive right at your doorstep. Alternatively, you can even explore Colaba Causeway that is known for its street markets and eateries.